Home > Smart Drugs > Why Is Provigil Not Working? Why Is Provigil Not Working? Because Provigil works by increasing the amount of the feel-good hormone dopamine, in your body, any drugs or supplements that interfere with the production or utilization of that chemical, including its uptake, can be the reason your Provigil tablets are not working. Modafinil is effective for several off-label uses. However, there can be some reasons why Provigil isn’t working or has stopped working for different users. 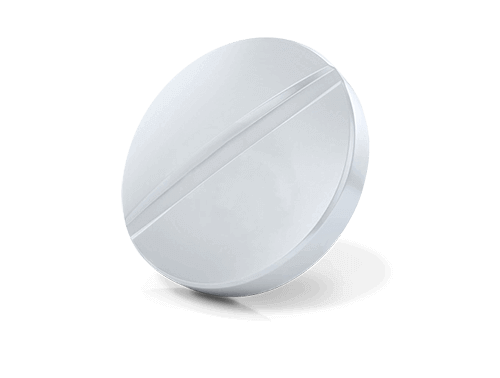 Provigil or Modafinil is the world’s first FDA approved “smart drug“. It is prescribed to promote alertness and wakefulness in patients suffering from conditions like narcolepsy, and certain sleep disorders – like how work affects your sleep cycle. Provigil is effective for several off-label uses, as well. However, there can be some reasons why Modafinil isn’t working or has stopped working for different users. It takes several doses before many users experience real improvements, while others notice a profound effect within minutes or hours. Unfortunately, there is no way to predict into which group you will fall. We know from pharmacological studies that it takes time for the drug to build up in your system. Body weight and metabolism can also affect the absorption of particular drugs. In these instances, it is important to continue taking the medication as indicated until the medication has had time to accumulate. Another common problem is that it takes time for the other drugs, medications, or supplements you have taken previously, to be eliminated from your body. Remember, patience is a virtue, so give it a few days. If after taking the medication for a couple of weeks, you still are not experiencing an improvement of symptoms, contact your prescriber. Often the dose will need to be adjusted, changes made to your existing medication regimen or other alternative drugs will be recommended or prescribed. Are you taking Modafinil at the right time of the day for it to be most useful? If you are suffering from sleep disorders related to shift work, you should take your dose one hour before starting your shift. Otherwise, the dose should be taken in the morning. To work reliably, the medication needs to be present in your body at therapeutic levels, and these levels should remain consistent. Missing too many doses can cause modafinil to stop working. While it is not advised to take additional doses or to attempt to make up the missed dose, it is critical to take the medication on time, as prescribed or recommended. Effective dosage amounts vary in each individual, however, due to the quest to standardize dosage, most doctors prescribe the same for each patient and then titrate up to reach optimum effectiveness. As a narcolepsy drug, most doctors initially prescribe 100mg to be taken as follows: one dose in the morning and two in the afternoon. For other sleep disorders, a single 200mg dose is prescribed. The FDA advises the recommended dosing of Provigil or modafinil not exceed 400mg per day. Dosages more than this amount can have serious medical and life threatening consequences. Reports of interactions with other medications, supplements, vitamins, and drugs have been reported. Because Provigil works by increasing the amount of the feel-good hormone dopamine, in your body, any drugs or supplements that interfere with the production or utilization of that chemical, including its uptake, can be the reason your Provigil tablets are not working. Drugs likely to keep modafinil from working are those commonly used to treat bipolar and psychosis, but also more common conditions like nausea and vomiting. Finally, the tricyclic family of antidepressants, melatonin, and the naturally occurring chemical – choline – can also reduce the production of dopamine. Check with your pharmacy to find out if any of the pills you are taking could be interacting with the modafinil. Dopamine antagonists or antidopaminergic drugs decrease the potency of Provigil. Natural supplements that decrease the effectiveness of Provigil. There are also drugs, medications, and supplements that can increase the effectiveness of Provigil. Taking these medicines in combination are what those in the world of nootropics call stacking. Everyday things to try include caffeine, nicotine and over-the-counter stimulants found in decongestants. Symptoms associated with tolerance are similar to those associated with withdrawal like feeling fatigued, decreased attention span, depression for no reason, anxiety, and excessive sleepiness. The drug was not designed to be taken for more than a few weeks or months at a time. Most patients will be cycled on and off using other stimulant-type drugs in between. When taken as prescribed, then, tolerance doesn’t usually occur. However, more and more, Provigil is being taken long term without cycling. Some physicians who regularly prescribe modafinil express concerns that long-term use of the medication may necessitate higher and higher doses to achieve the same results. However, others have found that cycling the drug is still the best way to prevent and even treat tolerance. So, if you are experiencing an increased tolerance to the drug, you may consider the following two tips before you up the dose. Ask about cycling to a different stimulant for a few months. Ask about taking a drug holiday from the medication for at least three days. Ask about lowering your Modafinil dosage to 75% of what you found initially effective. Another option is to try neurofeedback or biofeedback. These methodologies have been found to help patients overcome both tolerance and dependency of certain stimulants. There are a few conditions that can make you naturally resistant to stimulants and dopamine. ADHD. Research shows that about 30% of patients that have ADHD are resistant to stimulants. The reason for this is unknown. Parkinson’s Disease. This disease is known for severe dopamine depletion and non-responsiveness to dopamine replacement. Alcoholism. While this is a case of what came first — there is well-documented evidence to suggest that chronic alcoholism is associated with dopamine resistance. Therefore, Provigil would be less efficient in treating people with the disease. Hypothalamic Disease. Located near the center of the brain is an area known as the Hypothalamus. The area contains the pituitary gland and is linked to nervous system and endocrine functions. In rare instances small benign tumors in this area called “micro-adenomas” can create resistance to dopamine, thus reducing or eliminating the effectiveness of drugs like Provigil. Provigil is a powerful nootropic drug with the ability to provide energy, improve the clarity of thought, increase productivity, and prevent excessive daytime sleepiness. However, it is important to remember that it doesn’t take the place of sleep. Finally, what are your expectations? Many people expect to feel a buzz or a jolt of energy when they start taking the drug. However, most of the literature suggests that Provigil doesn’t produce those type of dramatic effects and instead, builds up slowly increasing wakefulness and other benefits gradually over the course of several weeks until it has reached a therapeutic level in your body. Don’t forget that we offer free Modafinil samples and free Armodafinil samples delivered straight to your door! ← What Are Nootropics and How They Work?